Farm Show Council strives to improve the value of its member shows through education, communication and evaluation. The overall goal of the Council is to provide the best possible marketing showcase for exhibitors of agricultural equipment and related products to the farmer/rancher/producer customer. ​Fieldays is the Southern Hemisphere’s largest agricultural event and the ultimate launch platform for cutting edge technology and innovation. Whether you are from in town or out in the country, a Fieldays veteran or visiting for the first time, Fieldays has something for everyone. Canada’s Farm Progress Show brings more than 40,000 producers, manufacturers, buyers and industry experts together for a global summit of innovation in dryland farming, technology, business, modern living and entertainment. ​The Wisconsin Farm Technology Days is the largest agricultural show in Wisconsin and one of the largest in the nation. The three-day outdoor event showcases the latest improvements in production agriculture, including many practical applications of recent research findings and technological developments. Empire Farm Days is the place to find everything you need for your agricultural enterprise and for rural living. Exhibitors are ready to talk with you about your equipment needs, best growing practices, animal health products, and ways to enhance your production and operational efficiency. Since 1972, the Council has represented those agricultural equipment shows in the United States, Canada and New Zealand that have expressed excellence and maintained high standards for the benefit of both exhibitors and attendees. Those standards are evaluated, not only on admission to membership into the Council, but also on a continuing five-year plan of action. Beginning in 2003, the Council expanded its representation to include agricultural equipment shows outside of the boundries of North America with the creation of the International Associate Membership. Council Members exchange ideas and opportunities with each other while seeking mutual means to be more effective for their exhibitors and visitors. The Council's seal represents the quality and integrity of each member show. Our member shows have qualified and skilled staff to answer your questions on their specific show. Please contact each show directly for any information that you need relative to that show. 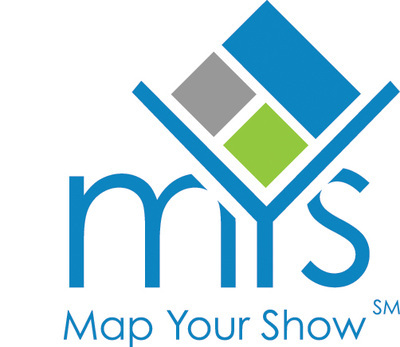 The Council in conjunction with Marketech, Inc. have created a series of worksheets that will assist the Farm Show Council Members and their affiliates on show planning and organization. To access these educational resources, please see the following link: Educational Resources. The following link will provide information about the Fair Guide Scam. Another scam was identified by a member show. Please be aware of the Agri-Market.net Scam. Associate Member Opportunities. The Farm Show Council appreciates working with all of our Associate Members. There is a new membership structure that will enhance our Associate Member's presence in the Council. Use the the link to access the ​Associate Membership Information.